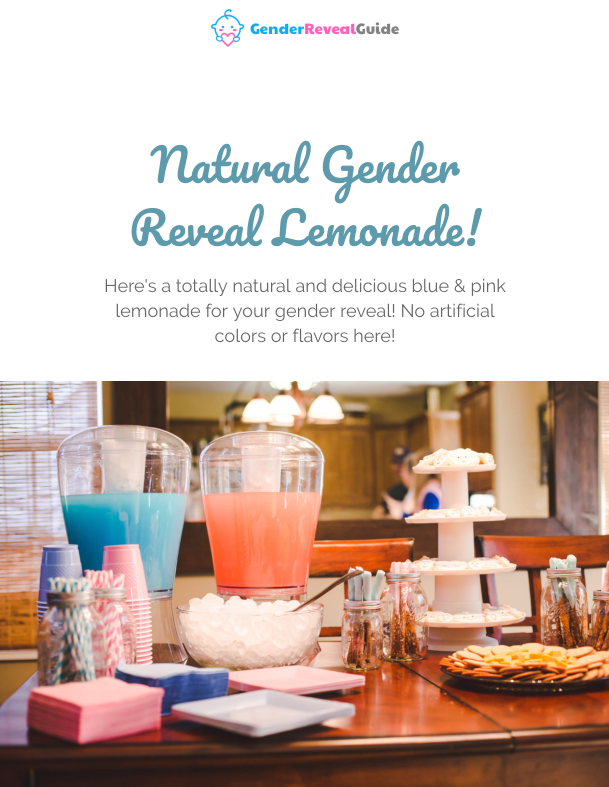 Here’s a totally natural and delicious blue & pink lemonade for your gender reveal! Not only is it super duper delicious but totally healthy for expecting moms! The natural colors are made from vegetables. 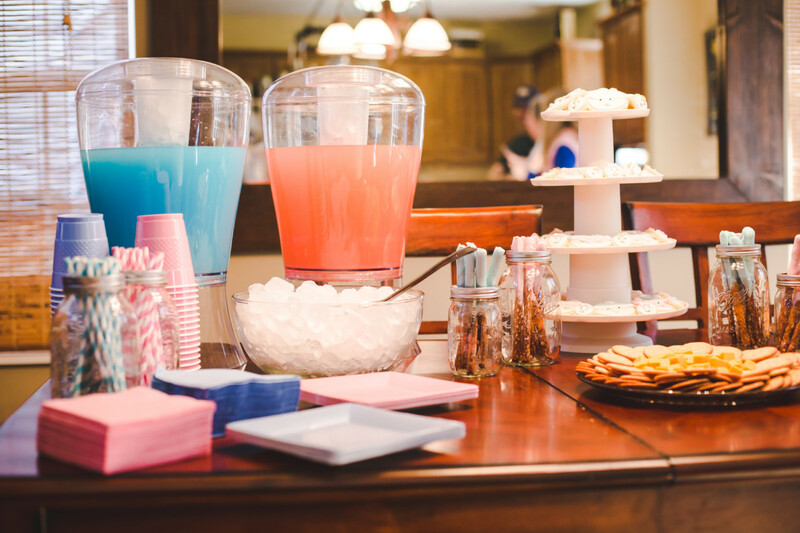 No artificial colors or flavors here! Bring sugar and 1.5 cup of water to a boil in a medium saucepan, stirring occasionally, until sugar dissolves. Let cool 5 minutes. Add lemon zest and let sit 30 minutes to steep. Strain lemon syrup through a fine-mesh sieve into a pitcher; discard zest. Add lemon juice and 7.5 cups water and stir to combine. Add 1/4 teaspoon of McCormick Sky Blue Food Color. Stir until completely mixed in. Want the recipe + shopping list? Here's an instant download of these recipes and convenient shopping list in eBook form! Download Recipe + Shopping List! Bring sugar and 1.5 cup water to a boil in a medium saucepan, stirring occasionally, until sugar dissolves. Let cool 5 minutes. Add 1/4 teaspoon of McCormick Berry Food Color. Stir until completely mixed in.